Tacos! Freshly made corn tortillas tacos. 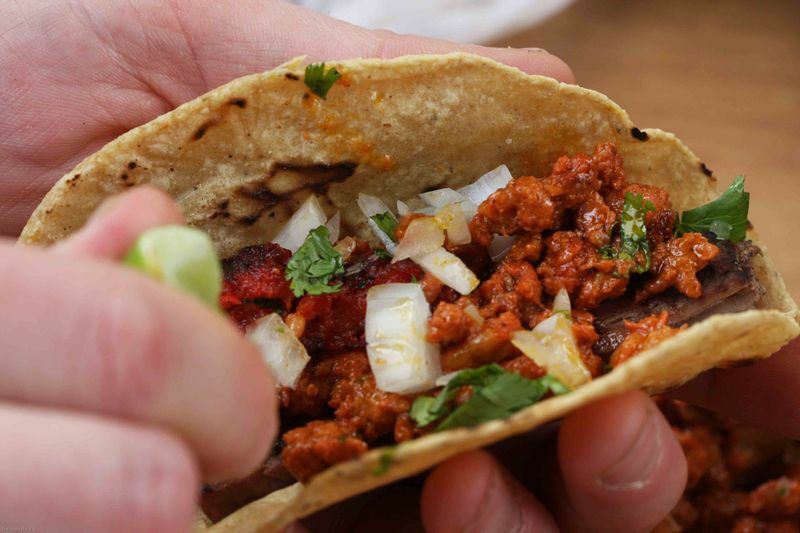 If you order a taco anywhere here, you will NOT get packaged tortillas. We had awesome tacos both from carts and a bunch of different little restaurants. The hot dog cart (believe it or not). Maybe it was because it was after midnight but it was one of the best I've ever had. A fresh roll buttered and grilled, grilled hot dog split lengthwise covered in fresh cilantro, salsa, jalapenos and some kind of mayo sauce. 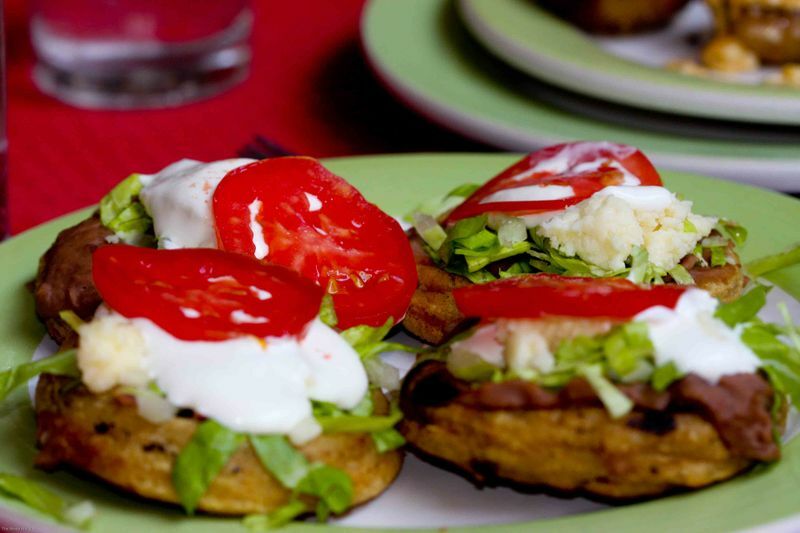 Mini tortas. They look kind of like El Salvador's Pupusas with stuff on top and bite sized. "Volcano Bowls" from Los Milagros. These are basically really large guacamole vessels heated to a very high temperature which cooks steak and shrimp then smothered in salsa verde. Steak Tampiquena from Tio Lucas. This is a traditional dish with a grilled steak, fresh guacamole, chicken and cheese enchilada and tortillas. A variety of salsas and limes. Most everything came many salsa options, I like options. A notable one, that seemed unique to SMA is a buffalo hot wing-type sauce that we coined, "inferno sauce". Maybe you should eat Mexican food tonight. Sadly what I would make would not be nearly as delicious as the stuff you describe. It sounds heavenly! Can’t wait to hear about the wedding! I would love mexican for dinner. In Iowa, there aren’t many options. In the grocery stores, you can only buy medium, mild and extra-mild salsa! Is that ketchup? Congrats on the wedding! I bet it was beautiful! Extra-mild, really? Wow. When we’re back we’ll have to import some Mexican food to Iowa for you! Thanks Katie! We are anxiously awaiting photos to share with everyone. I’m drooling. Gotta make a trip out to Jersey City now to eat at the taqueria (best Mexican food I’ve ever had considering I’ve never been to Mexico). 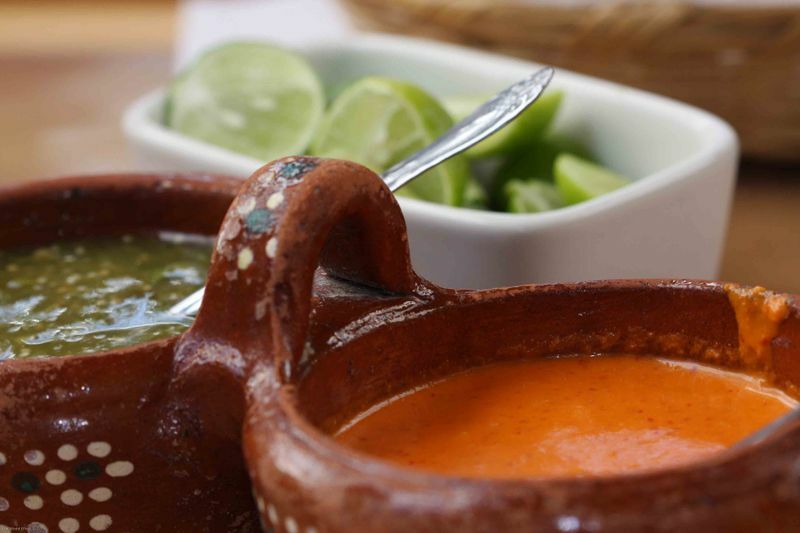 Thanks for following Chinamatt- we’ll give the taqueria a shot if we get out there.